Initially, it was meant to be ’just another release’, but it turned out to be an unprecedented case in Adguard history, so let us go a bit deeper and start from the beginning. Finally, we did it. The new driver was ready and we were eager to launch the first version featuring it. The outcome was not very pleasant: we’ve received several reports about encountered BSODs from our users. Those cases were relatively rare, but that’s a questionable solace for those who suffered from it. And that’s when the struggle took its start. Together with the most dedicated testers, we went through countless iterations of new driver builds, BSODs and false celebrations. Finally, we managed to find this exact build that was meant to become the new release. Just so you can get a grasp of how epic of a journey it was: the GitHub thread we used to discuss the problem blew up with replies to grant a spot among the most discussed threads of this year on GitHub. Thank you once more, we are lucky to have users like you. Just a couple more words about the issue itself: fortunately, everything is working perfectly by now. 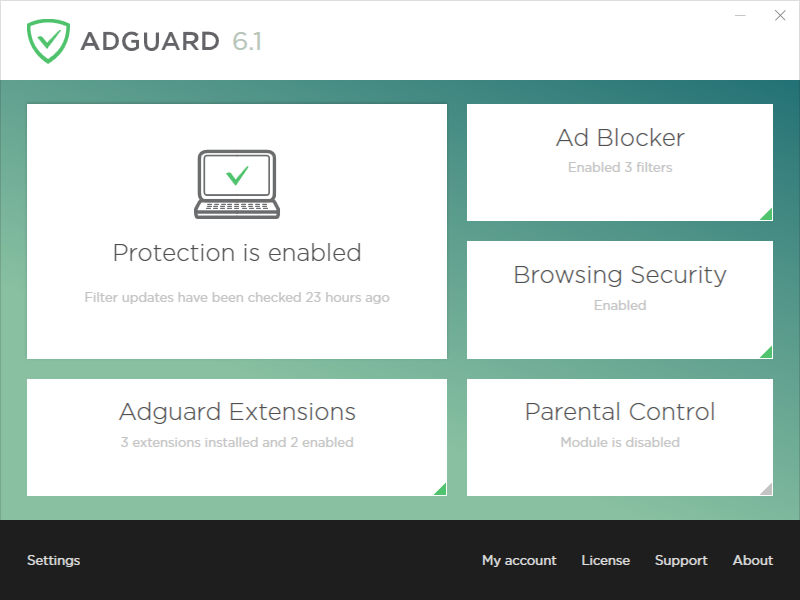 You can now run Adguard alongside with KIS, ESET and other antivirus software without the fear of BSODs or other unpleasant surprises. With big news about WFP driver compatibility fix it could be easy to neglect other changes. And that would be so wrong! This fix, in particular, is of utmost importance. It ensures Adguard will run without problems on modern (v59+) Chrome versions. Otherwise, there would be troubles with Adguard cosmetic filters. For sure, this release is something for us to remember for a long time to come. And what are your impressions and expectations for the next one? We are working on some really nice things to share with you in Adguard 6.2. Stay tuned!